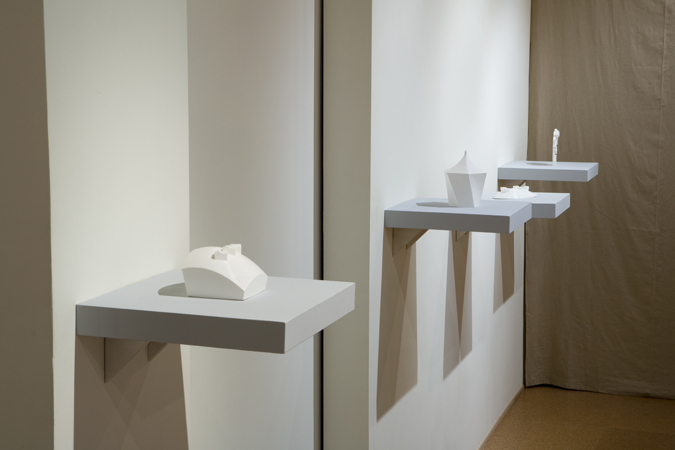 Passed Forward: William Godfrey to Masood Kamandy, Installation view, Steve Turner Contemporary, September 2011. William Godfrey. Palmetto Tree, Los Angeles, c.1870. Stereoview. Spring, 2011. 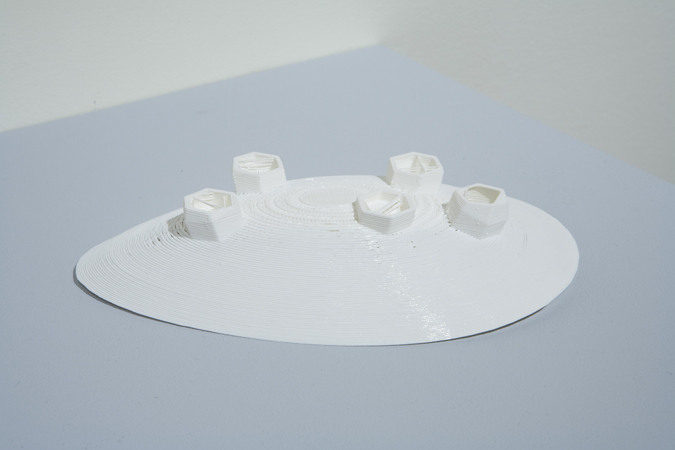 3D print made with PLA (Polylactic acid), 6 x 5 x 1 inches. Garden Gazebo, 2011. 3D print made with PLA (Polylactic acid), 7 x 4 1/2 x 4 1/2 inches. 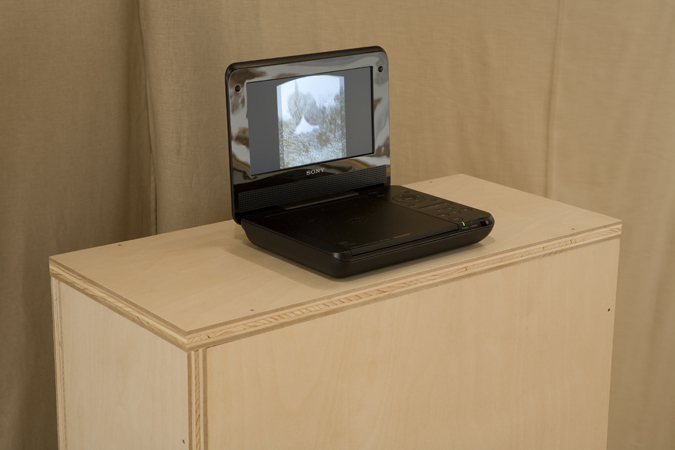 Shared View, 2011. 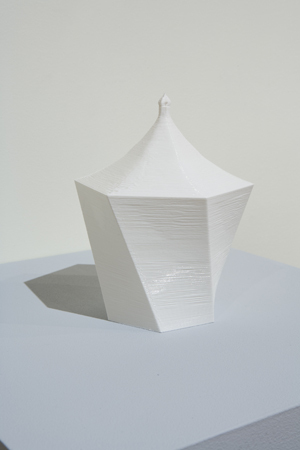 3D print made with PLA (Polylactic Acid), 4 1/2 x 4 1/2 x 4 1/2 inches. Flowering, 2011. 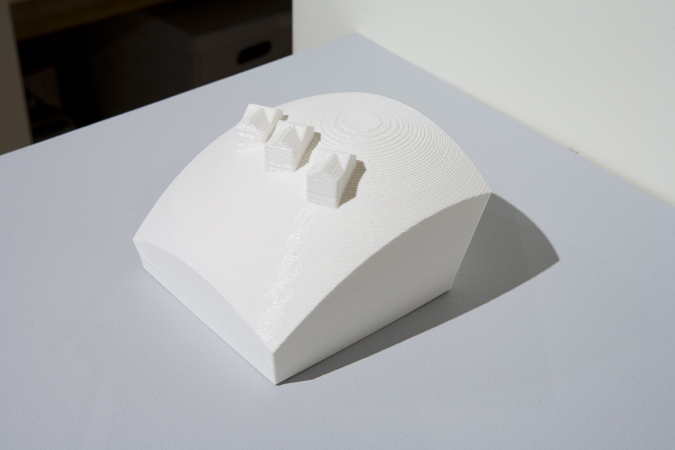 3D print made with PLA (Polylactic acid), 2 x 8 1/2 x 5 inches. Steve Turner Contemporary is pleased to present Passed Forward: William Godfrey to Masood Kamandy , a solo exhibition by Masood Kamandy that also introduces William Godfrey as the first view photographer of Los Angeles. 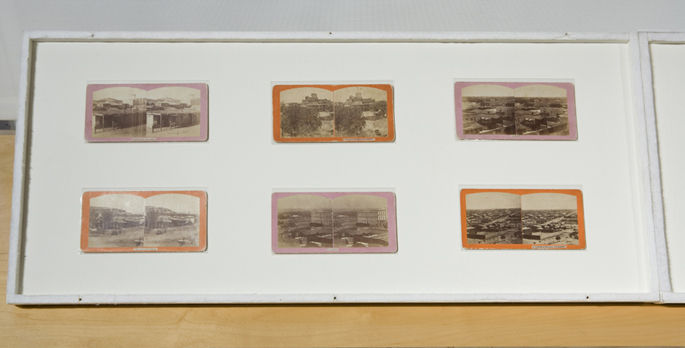 Godfrey created over one hundred stereoview photographs of Los Angeles in the 1860s and 1870s, and Kamandy will transform some of these into three-dimensional objects. Kamandy creates photographs and videos that investigate the medium of photography. 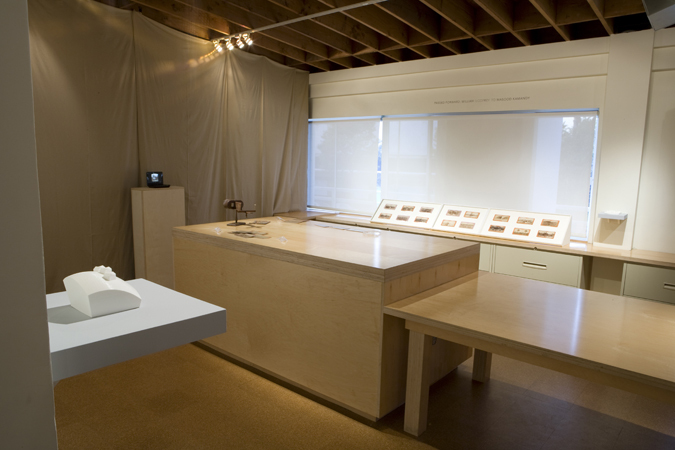 He seeks to alter meaning and content by using either physical or digital manipulations. 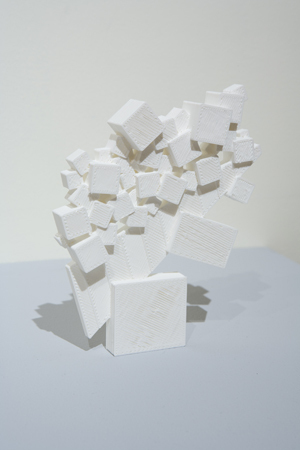 In past work, erasure shifted meaning, and in this project, his shift of 2-D to 3-D will do so. Born in Fort Collins in 1981 to Afghani immigrant parents, Kamandy earned a BFA from the School of Visual Arts, New York (2004) and currently is an MFA candidate at UCLA (2012). His work has been shown in group exhibitions including Wet Paint 3: Six Young LA Artists , Steve Turner Contemporary, Los Angeles (2011) and Seven Minutes in Heaven , Control Room, Los Angeles (2011). This is his first solo exhibition. 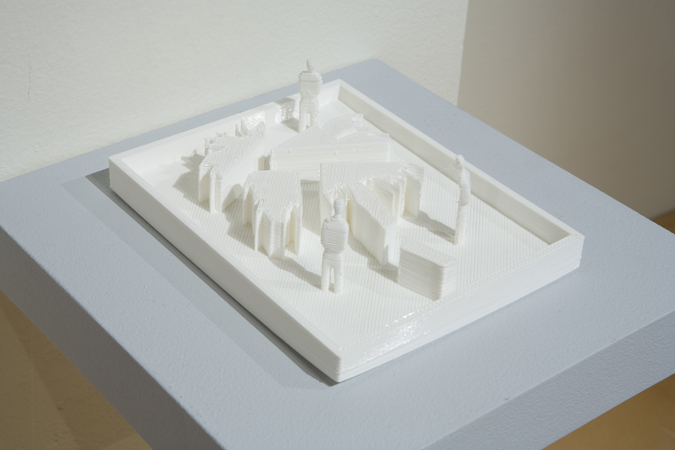 Steve Turner Contemporary represents the work of emerging and established contemporary artists. Gallery hours: Tuesday-Saturday, 11-6. Please contact the gallery for further information.